2.1 1980s–1993: Signing with Instinct and "Go"
1980s–1993: Signing with Instinct and "Go"
Moby (November–December 2015). "Person of the Year: Moby". VegNews (Interview): 26–27. If the tone of the message is too strident or too didactic or too loud, people won't pay attention to the substance of it. 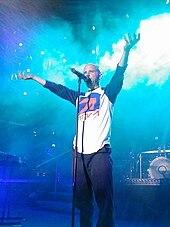 ^ "Moby Didn't Feel Pressure To Follow Up 'Play,' '18' Bows At Number Four". 2006-12-13. Archived from the original on 2006-12-13. Retrieved 2018-11-12. ^ a b c d e Dalton, Stephen (9 May 2011). ""The Humility That Comes From Being Hated": Moby Interviewed". The Quietus. Retrieved 9 April 2019. ^ a b c d e f g Duerden, Nick (5 March 2005). "Moby: 'I am a messy human being, and I don't have a problem admitting". The Independent. Retrieved 8 April 2019. ^ a b McGrath, Nick (31 January 2014). "Moby: My family values". The Guardian. Retrieved 9 April 2019. ^ a b c d Catlin, Roger (12 March 1995). "Moby: Remixed, repulsed...reborn?". The Hartford Courant. pp. G1, 62. Retrieved 8 April 2019 – via Newspapers.com. (Subscription required (help)). ^ a b c d e f Pires, Candice (26 November 2016). "Moby: 'I was disappointed to be heterosexual'". The Guardian. Retrieved 25 June 2018. ^ a b Gordon, Jeremy (6 November 2013). "Moby on Moby". Vice.com. Retrieved 9 April 2019. ^ Gurliacci, David (12 May 2016). "Moby, a Former Darien Resident, Coming to Stamford to Talk About His New Memoir". Darienite. Retrieved 9 April 2019. ^ Kot, Greg (2 August 1992). "Breakfast with Moby, techno's reigning wizard". Chicago Tribune. p. 19. Retrieved 9 April 2019 – via Newspapers.com. ^ a b Kot, Greg (2 August 1992). "Breakfast with Moby, techno's reigning wizard". Chicago Tribune. p. 19. Retrieved 9 April 2019 – via Newspapers.com. ^ a b Weisbard, Eric (March 1997). "Moby: Tech no!". Spin. Retrieved 14 April 2019 – via Rock's Backpages. ^ a b Gourley, Bob (1999). "Moby". Chaos Control Digizine. Retrieved 14 April 2019. ^ a b Ali, Lorraine (19 January 1997). "Cut the Beat, Crank Up the Guitar". Los Angeles Times. p. 80. Retrieved 10 April 2019 – via Newspapers.com. 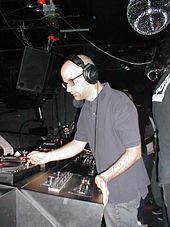 ^ Levine, Robert (9 February 1997). "Moby gets out of his depth". The San Francisco Examiner. p. 42. Retrieved 13 April 2019 – via Newspapers.com. ^ a b c Chirazi, Steffan (24 August 1997). "Pop Quiz: Q&A with Moby". The San Francisco Examiner. p. 51. Retrieved 13 April 2019 – via Newspapers.com. ^ a b Scribner, Sara (10 September 1997). "Under the Big Top". The Los Angeles Times. p. 21. Retrieved 13 April 2019 – via Newspapers.com. ^ a b Corcoran, Michael (21 October 1997). "Moby scores with mix of soothers and seethers". Austin American-Statesman. p. E1. Retrieved 13 April 2019 – via Newspapers.com. ^ Peiken, Matt (5 December 1997). "Multitalented Moby proves he 'Likes to Score'". Albuquerque Journal. p. B4. Retrieved 13 April 2019 – via Newspapers.com. ^ Hilburn, Robert (10 August 1999). "He sees no borders". The Los Angeles Times. p. F1, F12. Retrieved 13 April 2019 – via Newspapers.com. ^ "Moby signs deal with Mute Records". 15 June 2007. Retrieved 9 April 2019 – via www.reuters.com. ^ Pointing, Charlotte (2018-03-02). "Vegan Celeb Moby to Donate 100% of Album Profits to Animal Rights". LIVEKINDLY. Retrieved 2019-03-22. ^ Zellner, Xander. "Moby Scores First Hot 100 Entry Since 2001, With A$AP Rocky". Billboard. Retrieved 22 April 2018. ^ "Charlie Countryman Soundtrack List". Soundtrack Mania. 2014-02-15. Retrieved 2019-03-22. ^ "Cathedrals of Culture: Berlin Review". The Hollywood Reporter. Retrieved 2019-03-22. ^ "Heather Graham's 'Half Magic' to Feature New Songs by Moby | Film Music Reporter". Retrieved 2019-03-22. ^ McClure, Kelly. "Moby on 'Blunt Talk,' His New Restaurant, and His Sixth Sense". Maxim. Retrieved 2019-03-22. ^ "Nile Rodgers, Noel Gallagher, TLC, More Featured in New Netflix Documentary Series". Spin. 2018-07-28. Retrieved 2019-03-22. ^ Chiorando, Maria (23 November 2017). "Moby shares photo of kitten who turned him vegan exactly 30 years ago". 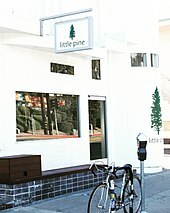 Plant Based News. Retrieved 9 April 2019. ^ "Is Moby a Christian?". Christianity Today. January–February 2003. Archived from the original on January 9, 2010. Retrieved September 29, 2011. ^ "Moby to Sell Synth Collection on Reverb, Donate Proceeds". reverb.com. Retrieved 10 April 2019. ^ Blistein, Jon; Blistein, Jon (2018-10-04). "Moby Selling Massive Drum Machine Collection for Charity". Rolling Stone. Retrieved 2019-03-22. ^ http://www.washingtontimes.com, The Washington Times. "Al Gore to host 24-hour climate change special featuring Moby, Goo Goo Dolls". The Washington Times. Retrieved 2019-03-22. ^ "Moby". Best Friends Animal Society. 2015-08-28. Retrieved 2019-03-22. ^ "Militant to Dilettante Vegan: Moby & Miyun Park's "Gristle"". Vegsource. Retrieved 15 April 2019. 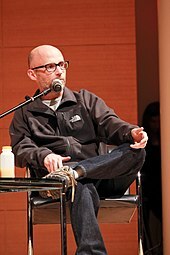 ^ "Moby to write memoir spanning first decade of his career". Fact Mag. 11 June 2014. Retrieved 10 April 2019. ^ Leight, Elias (April 28, 2016). "Moby Talks 'Porcelain' Memoir, Announces New Compilation Album: Exclusive". Billboard. Retrieved 10 April 2019. ^ Daly, Rhian (14 October 2018). "Moby announces new memoir, 'Then It Fell Apart'". NME. Retrieved 10 April 2019. ^ "The 2015 Veggie Awards". VegNews: 26. November–December 2015. Retrieved November 5, 2015. This page was last edited on 19 April 2019, at 15:36 (UTC).